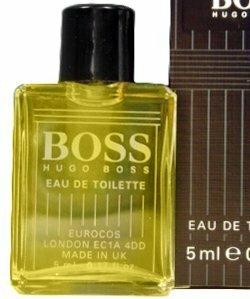 Boss Number One is a popular perfume by Hugo Boss for men and was released in 1985. The scent is spicy-woody. It is being marketed by Coty. I've always stayed out of this boss's way. True to the prejudice: must the first also be the best?! Thanks to parfumo, with aroused curiosity, a bottling came into my collection. The memory was followed by a massive impact. For a long time we bred dogs and the smell of the puppies, the growing and the adult animals, up to giving away, for sale: that is Boss Number One for me. I also have to think of energetically worked out skin sweat, of flower water, in which a bouquet spent weeks of its existence or the duckweed that sloshes against the beams of the bathing jetty in the small lake. The animal beginning, with a melange of herbs to caraway and juniper, lightly peppery tarragon and the turn to lovage and cheeky sage, combines with the scent of climbing yelp fever and catches the slightly bitter scent of grated vetch and crumbled jasmine. Always worked until the animal aspect of the plants is pressed out of the green stalks. Fine lilies of the valley and a touch of patchouli give me a little memory of love and tenderness. Maybe just wishful thinking, because as it sounded it disappeared again. This scent remains with us for 5 to 6 hours and says goodbye slowly; but not as light as a feather like the dandelion; and a sour honey remains with the memory of the animalism of the little puppies. That can certainly only be carried by a strong personality. But maybe the first one is also the best one. Wake the (honey) animal in you - "quick, go wash yourself"
A very distinctive, special men's fragrance. It awakens the animal in the wearer or transforms him into an elegant wearer. Every fragrance works differently for everyone. In any case, it's clear that the scent will arouse and polarize if you're not the right type for it is pretty powerful even. He stings at the beginning then lies down, but the animal remains. It can be described as bittersweet-animalic. I always liked this perfume. I use it on a regular basis since 20 years ago. It has a precious set of notes and it is very well blended. It smells like a typical perfume from the 80's but I like it that way. It also has enough longevity for an entire day or a night out and with a significative projection. It has got a sweet balsamic vibe of amber, woods, cinnamon and tobacco, that just keep calling me to use it again and again. I tried to find similar fragrances but without success. Hugo Boss does not have similar scents, at least nowadays, and by chance I ended up discovering another faintly related scent in Givenchy Gentleman, another masterpiece that I use on a regular basis now. I defy young people to try it. It's really alluring and it is easy to buy it on line under 30 Euros for a 125ml bottle. My girls at home (wife and daughter) both love it when I use it. 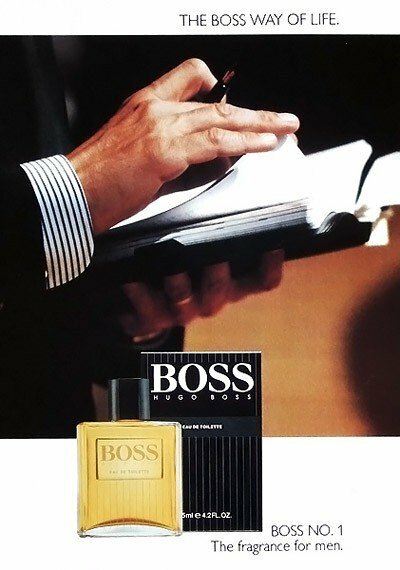 As far as I am concerned, besides the magnific scent, this fragrance makes me feel very distinguished and full of confidence, a real number one boss of the world. Not for boys who date cotton candy scented girls! This is a gorgeous, complex, refined, fantastic, almost beasty fragrance. Great for anything except activities under the sun during the summer. I love it, my wife loves it. For me it's an absolute old school masterpiece. This fragrance never smells "old man" to me. Instead I keep visualizing a young man in his 20's, a twenty year old in the 80's, with his black leather jacket and collar turned upwards, blue jeans, a white linen shirt, dark suede shoes, and a strong cologne. Sometimes I still dress this way. As for the perfume itself..... God save the King. Upon initial sprays, it comes on quite bold and classy. The notes are citrus and fruity in the opening. Half a minute latter you receive an avalanche of notes including sweet honey, lavender, rose, and other very well composed notes that lead you to love this fragrance. You feel like you are in the presence of a orchestra with the conductor mixing tons of lovable different notes and blending them together to form a symphony. Its longevity is easily 14+ hours. Due to its sweetness and smoothness you may over spray just a bit - 4 to 5 sprays maximum. You get a very lovable dry down with a very sweet wet tobacco, dry oak moss, dark sandalwood, heavy patchouli and a strong musk - the inevitable 5 notes of the 80's. 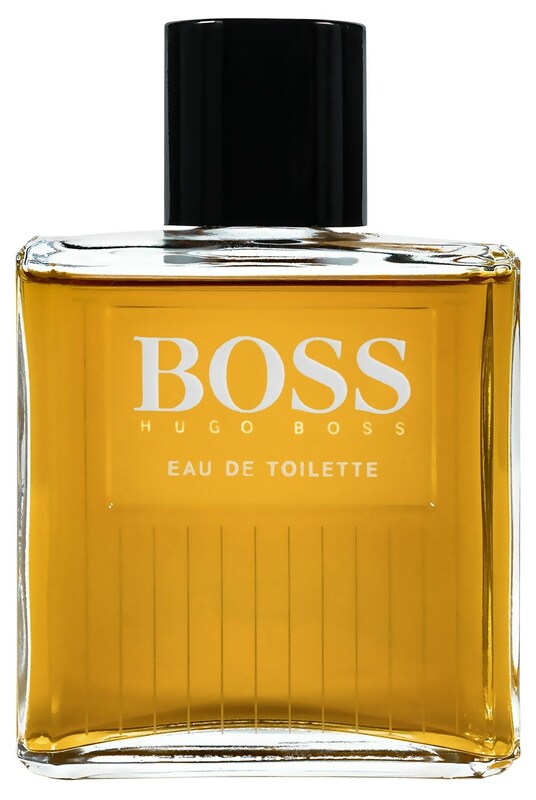 This EDT smells expensive and and in line with what you expect from the fragrance that put Hogo Boss in the perfume's map. It is indeed a very nice juice and one of a kind. It does not pretend to clone anything and I like it that way with its proper individuality. Will I buy it again? YES, as long as I live! I had this only fragrance love for quite a number of years, just allowing some experimentation with Tuscany, Azzaro, Givenchy Gentleman and Opium. I do have now a number of fragrances that I use more often than Boss Number One. But every now and then it really feels good to encounter this faithful friend... like it has been the case today. In a happy day like today, my old friend Boss Number One always meets his sweetheart Sysley Eau du Soir from my wife. It's a divine couple. I absolutely adore this Hugo Boss fragrance. And yes....it's Just for MEN! 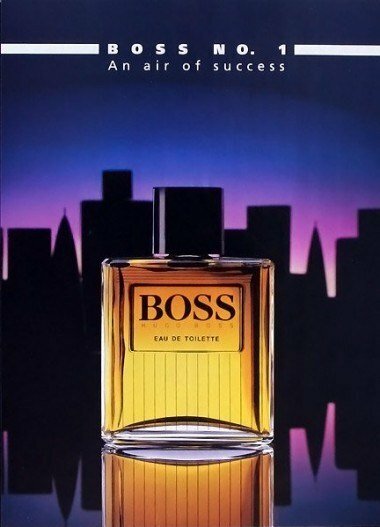 Boss number one is one of the masterpieces of Pierre Wargnye, probably the first one, or the second after Drakkar Noir from Gui Laroche. More recently he developed La Nuit de l`Homme for Yves Saint Laurent.... need I say more? 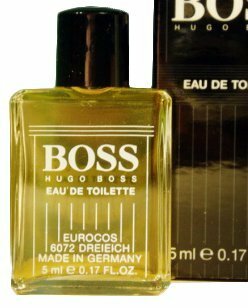 But for me his jewel of the crown is still Boss Number One, and this is the perfume that put Hugo Boss on the perfume map. It's pleasing people for more than 30 years now. I already had 7 or 8 bottles 125cc and have always a new unit in reserve as it is not easy to find it nowadays. I have been saved by the web shopping both in availability and pricing. At the phase of my development into a young man at the late 1980s and early 1990s, there were more or less only two olfactory directions which a man could follow. Either you embrace a full Main Stream with all these new directions like Calvin Klein or Joop, or you decide to go towards the classic group with Paco Rabanne, Azzaro or Boss. My number 1 choice was "Number One" by Hugo Boss. I have no idea why, but probably because my friends and classmates all went for the modern scents and I always aimed to make a counterpoint. As far away as I stood, then and now, from wearing a classic suit, I was comfortable in knowing that this scent went perfectly well with Levy jeans, a Diesel T-shirt and Adidas Allrounds. The classic presentation of this scent is striking and has resisted face-lifts over the years. Deep black is the carton with subtle pin stripes, the BOSS logo proudly displayed on its chest. The bottle is edgy, clear and the pin stripe design is repeated. The color of the fragrance is a classic golden yellow. All in all, a statement not to be missed. The scent opens up boldly with classic fresh notes, the bergamot taming the lemon. Other than the clean and spicy accents, there is an early appearance of a light fruity aroma whose sweetness soon is dominated by honey. Fresh and light flowery notes follow and spread in a wide range, which is almost overwhelming. With the basenotes, we have a panorama of notes which, although soft and warm, still maintain the structure of the scent. There are woods, musk, patchouli, oakmoss and most definitely tobacco. Like in an orchestra, the individual notes harmonize beautifully, perhaps the first violin is missing ... nevertheless, there is a full performance of the rest. I especially like the spicy notes with a touch of flowery bloom, as they are alternating with the woody accents. Most of all, I fancy the sweet tobacco note, and I'm saying this as a non-smoker. Today, this scent might seem a bit dated, but to label is as "old fashioned" would be a misnomer by far. It still remains as a classic among the "Gentleman" fragrances. Being a youngster, I applied this fragrance in large doses which however is marvelously suited for overapplication. Only many years later, I did realize that the scent is functioning perfectly well in lesser amounts. The sillage is strong given a distance of two meters, without trying to fog up the whole room. Add to this a very good longevity - when applied in the morning, there is still a very recognizable "Boss Number One" trace left in the evening. Over the years, many more scent directions and impressions have met my nose. Clearly, "Boss Number One" is not ranking as my number 1 choice anymore. But, it has my long appreciation as a "Gentleman" fragrance, and I have the pleasure of wearing it from time to time. This powerhouse just was not to my taste, unfortunately. It smells way too harsh and unrefined. I love my powerhouses and I love my aromatics, but the herbs here are just way over-the-top in your face for me to wear Boss Number one without feeling more than a bit uncomfortable. 1 out of 5 stars.